Is Lottoland a scam? 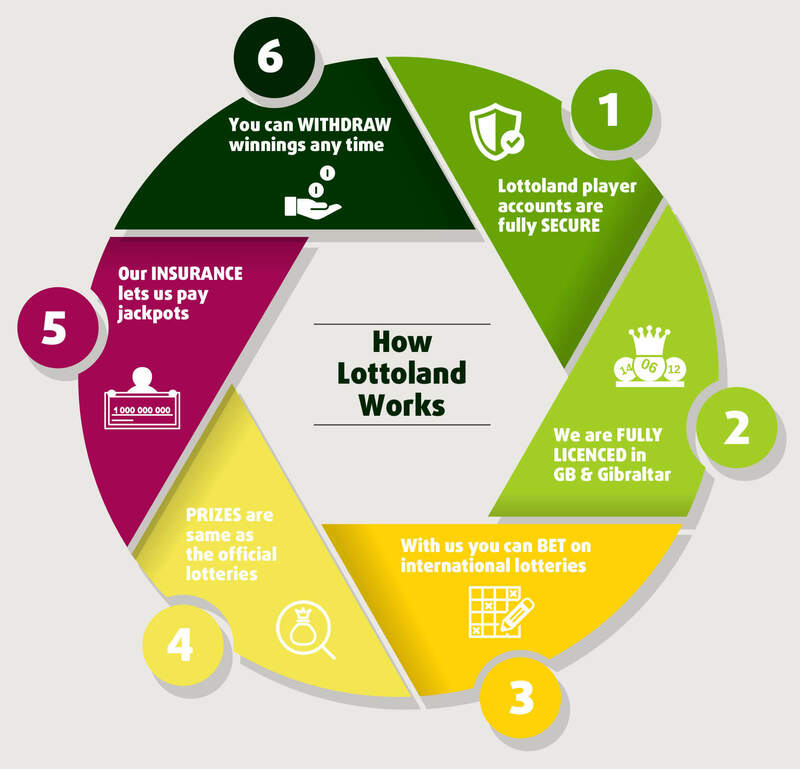 How does Lottoland work? As the company begins to grow and expand, many people are beginning to wonder exactly how Lottoland works. Our business model is new (new as in we're the first company ever doing this!) and, as with anything new, scepticism is to be expected. Hence the purpose of this article; to explain exactly how Lottoland works and why our approach gives you far more choice and many more ways to win when compared with traditional, ticket-based lottery operators. We are going to address some of the most common questions that we get asked here at Lottoland. Hopefully these answers will help you to understand a little bit more about how our company works, and ease any concerns you may have. 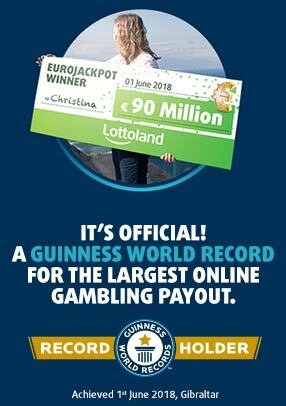 We recently paid out a world-record breaking €90 million to our lucky Lottolander Christina. Click on the banner below to find out more about her story! Lottoland offers people in Ireland the chance to bet on a wide range of international lotteries. At Lottoland you bet on the outcome of the official draw, based on exactly the same prizes as the official lottery. For all intents and purposes you will have the exact same customer experience as if you were entering the official lottery, except that you are effectively betting on the lottery with us. Lottoland is able to pay out any wins, large or small, and the proceeds can then be withdrawn by you whenever you wish. For smaller prize tier payments we make the payment directly from the fund we have from the total sales for the draw. However, in order for us to make the larger prize tier payments we take out insurance policies to cover the eventuality of a Jackpot win or a substantial payout on your Lotto bet. Part of the Lotto bet price you pay goes towards the payment of this insurance policy. This means that we can pay out for any jackpot win, no matter how big it may be. No, Lottoland is not a scam! In fact, Lottoland is fully licensed and regulated by the Irish Government and also conducts operations worldwide. Our license is fully reliant on our ability to pay out our Lottolanders’ winnings, swiftly and reliably, while remaining fully transparent with regards to our operations and financials. We must maintain the highest of standards in order to be able to keep our licence, and thath includes paying out on any jackpot wins, no matter how big they are. The most important thing to remember with Lottoland is that you are not buying official lottery tickets and Lottoland is not affiliated with the official lottery providers in any way. Rather, you are placing a “lotto bet” on the outcome of the lottery draw. For Lottolanders this closely replicates buying an official paper ticket but there are a few important distinctions and common questions which we will address below. Q. How can Lottoland pay out jackpots worth over €1 billion? The majority of prizes at Lottoland are paid out of our profits as a normal part of business operations. However, when jackpots begin growing into hundreds of millions of euros we employ major insurance companies to pay out such a large amount of money if a Lottoland customer wins. Being licensed in Ireland and the UK means that we have to abide by a number of strictly controlled rules, including those which relate to the security of everyone who uses Lottoland. All personal data - including payment details - will be processed to the highest safety standards at Lottoland. Lottoland.com itself gets only the last four digits of your card number to see, while the full details are stored by our payment service provider Adyen. Adyen must undergo stringent tests by Visa and MasterCard to be certified in accordance with PCI DSS and so to be able to handle the payments annually. Q. Can I legally Bet on Powerball, Mega Millions, Eurojackpot etc. from Ireland with Lottoland? Yes, you can bet on any of these lotteries with Lottoland perfectly legally, because you are not ‘playing’ the official lottery. Instead at Lottoland you place a lotto bet, meaning that you can legally ‘take part’ in international lotteries. In order to buy an official lotto ticket you must be present in the country where it's run. In many cases, such as the US lotteries, you must also be an official resident in order to collect winnings. Betting on the results with Lottoland provides an alternative way for Irish lottery fans to participate and means you can win the same amount as the official jackpots. Thanks to Lottoland Irish people looking for bigger jackpots can now place bets on the French Lotto, the German Lotto, the Swedish Lotto, the Polish Lotto... any many more. Plus, in addition to EuroMillions we also have EuroJackpot, the other big European lottery, which is still relatively unknown here but every bit as famous as EuroMillions in Germany and Scandanavia. We also offer the massive Spanish Christmas Lottery, better known as "El Gordo" plus the the two American giants MegaMillions and jackpot world-record holder, PowerBall. Sometimes big lotteries like Powerball have jackpots which rise into hundreds of millions of euros. This is covered by our insurance company, but the insurance premiums rise when jackpots get this high. In circumstances where our insurance premiums are going up, in order to remain profitable Lottoland must also raise its prices accordingly or stop selling tickets altogether so that we are not operating at a loss. In extreme cases, like the €1 Billion Powerball jackpot, options such as the Double Jackpot may be disabled as the cost of a bet would be astronomical. However apart from the very rare circumstances when there are extraordinarily large jackpots prices of bets will remain at the base level. You have the winning numbers and no one wins the official jackpot: You would win as if you were the only winner and take the €100 million pot to yourself. The official lottery would continue to rollover. You have the winning numbers and 1 person wins the official jackpot: You would win as if you were the 2nd winner of the official lottery and therefore win a 50% share of the jackpot or €50 million. You have the winning numbers and 2 people win the official jackpot: You would win as if you were the third winner of the official lottery and take a 1/3rd share of the official pot or approximately €33.33 million, and so on. You have the winning numbers along with one other Lottolander, and 2 people win the official jackpot: You would win as if you were the fourth winner of the official lottery and take a 1/4 share of the official pot or €25 million. Q. Do I pay taxes on my winnings in Ireland? You do not pay any taxes on your winnings in Ireland because winnings from gambling are not taxable. For most European lotteries like EuroMillions and EuroJackpot you will be paid the full amount as a lump sum as most European countries don’t tax gambling winnings. The main exception to this European rule is the Spanish Xmas Lottery and El Gordo Primativa where your winnings would be less 20% as gambling winnings are taxed in Spain, and you will receive the same amount that a Spanish winner would get after tax.